1. 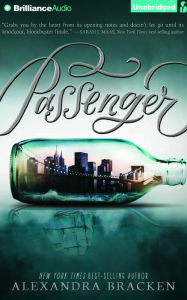 Passenger by Alexandra Bracken (January)—There's been a lot of buzz about this seafaring adventure. I know I'm not the only one who's waiting anxiously for its release. 2. 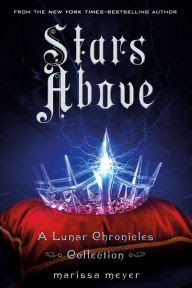 Stars Above by Marissa Meyer (February)—The Lunar Chronicles is one of my favorite YA series. Although I haven't read Fairest or Winter yet (shame on me! ), I'm still looking forward to this collection of prequel stories set in the Lunar Chronicles world. 3. 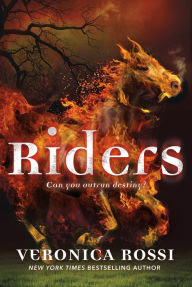 Riders by Veronica Rossi (February)—I loved Rossi's Under the Never Sky series and can't wait to read the author's newest. This one is about a boy who dies and wakes up with a new destiny and identity as War, one of the four horsemen of the apocalypse. 4. Reign of Shadows by Sophie Jordan (February)—This Rapunzel retelling sounds like another fun YA read. 5. Hanging Mary by Susan Higginbotham (March)—Stepping away from YA fantasy, this adult historical sounds intriguing. The novel concerns Mary Surratt, a widow who went to the gallows after being suspected of helping with the plot to assassinate Abraham Lincoln. Fascinating. 6. Living Color by Jodi Picoult (2016)—I'm a big Picoult fan and always wait eagerly for a new novel from her. This one, which is supposed to release in 2016, concerns a black nurse who intervenes on behalf of a white baby, even though the infant's Skinhead father has forbidden her to touch him. When the child dies, the nurse finds herself on trial for murder. 7. 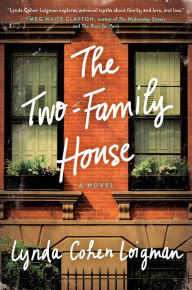 The Two-Family House by Lynda Cohen Loigman (March)—This novel about two sisters-in-law and their fractured relationship sounds intriguing to me. 8. 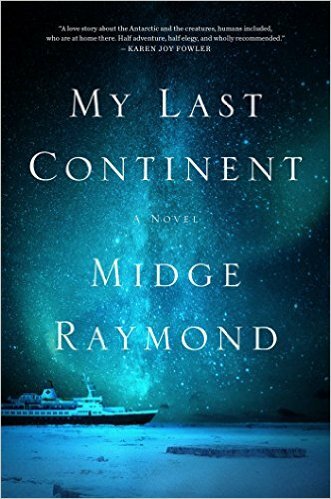 My Last Continent by Midge Raymond (June)—Set against a harsh Antarctic backdrop, this love and survival story concerns two scientists on two different ships—one of which is sinking. 9. 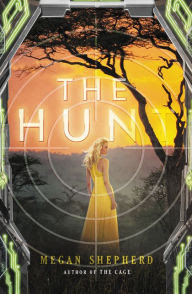 The Hunt by Megan Shepherd (May)—I read The Cage, the first book in Shepherd's series about human teenagers becoming exhibits in an alien zoo, earlier this year. The sequel comes out in a few months—I'm interested to see where the story goes next. 10. 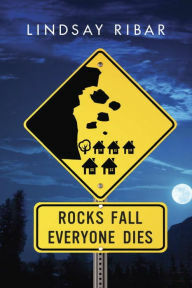 Rocks Fall, Everyone Dies by Lindsay Ribar (June)—I'm super excited about this supernatural YA novel, which has been described as Twin Peaks meets Stars Hollow. There you go—ten 2016 releases I can't wait to read. What do you think? Do we have any picks in common? What other great titles should I look for in the new year? 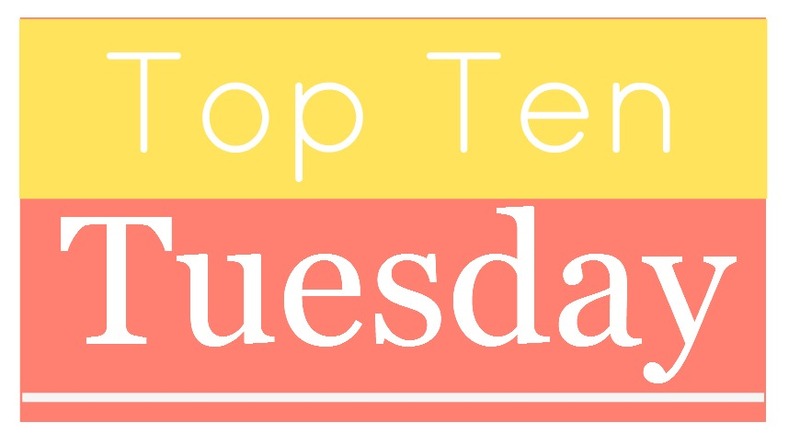 I love getting suggestions from you, so please leave me a comment on this post with a link to your TTT list and I'll happily stop by to look at it. Happy TTT, everyone! Hanging Mary looks so good! The story itself is fascinating. For some reason I'm not great at keeping track of when books come out unless I have them for review so I'm taking notes on this list! Dang it, Susan! Now I have more books to add to my tbr list! The cover to Passenger lis beautiful! I didn't realize Jodi Picoult's new book was releasing next year. Yay! That makes me very excited! Good luck with getting your reviews done. Even if you get some done, count it as a victory. :-) My Last Continent caught my eye from the cover and it sounds like it could be good. Living Color sounds like it has an interesting premise. It's been awhile since I last read a Picoult novel. Passenger is a new one to me (new as of yesterday, anyway). I like the sound of it. A lot of great books to look forward to! I concur that Hanging Mary looks very good. And I'm intrigued by the Picoult book. I like her books, but I seem to need to read them one at a time and then have a space between. Will be excited to see what she does with this story though. I'm excited about Stars Above too! I love Marissa Meyer. Stars Above for sure. I still need to get to Winter and Fairest myself. Hanging Mary sounds really interesting. Great list! Passenger looks interesting, and I'm really intrigued by Rocks Fall, Everyone Dies (what a title!). I may have to look into that one. There are a lot of really fun looking books coming- it's going to be a great reading year I think! I wanted to read the Cage and the Hunt. How is the series? 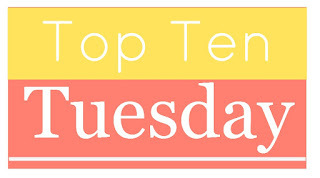 Check out my TTT and my current giveaway. Stars Above made my list, too! And after seeing Passenger on so many lists today, and reading the blurb, I've added it to my TBR list. 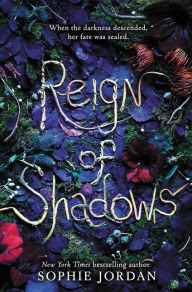 I'm also looking forward to reading Reign of Shadows, for which I have an ARC. Your other picks sound good, too! 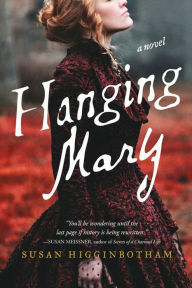 I haven't yet heard of Hanging Mary, but it definitely sounds like my kind of book! I can't wait to check that one out! I haven't read any of the Lunar Chronicles but I'm happy to see that there's going to be more in that world. Reign of Shadows also sounds really interesting. Okay, I NEED Hanging Mary. I've not heard of it until this post but it sounds exactly up my alley!